I'd like to say a big thanks to the RallyMoto club for helping me raise a fantastic £200 for Wales Air Ambulance by including an optional donation on the entry system for the recent Tarenig Rally. Most importantly, I'd like to thank everybody who donated, it's great to see how well supported Wales Air Ambulance are in the off-road community and people have been very generous. 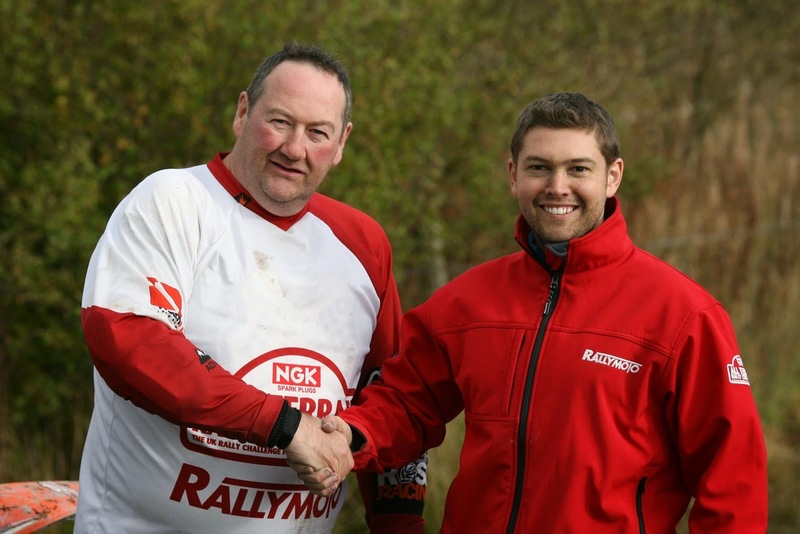 Here I am at the Cambrian Rally accepting the cheque from Robert 'Burt' Hughes from RallyMoto. Many thanks to Alex from TBM for the picture!